November 2016 – Interested in Learning How to Find, Select and Eventually Live On Board Your Own Sailboat? You're in the Right Place…. Every once in a while Mother Nature comes along and reminds us that it’s her playground. We might be allowed to use it, but when the streetlights come on you’d better get inside……. 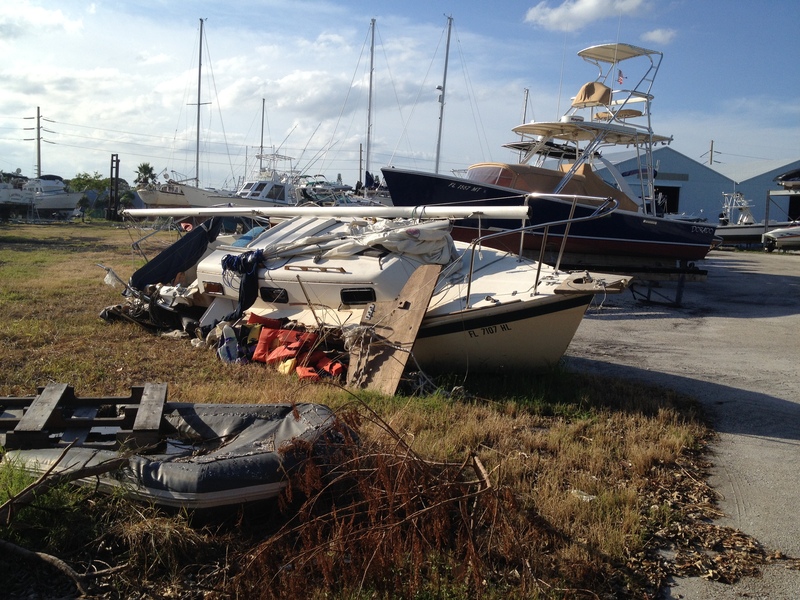 This was one of the “boat victims” of Matthew. The story was that she belonged to a local woman’s father and she inherited the boat. 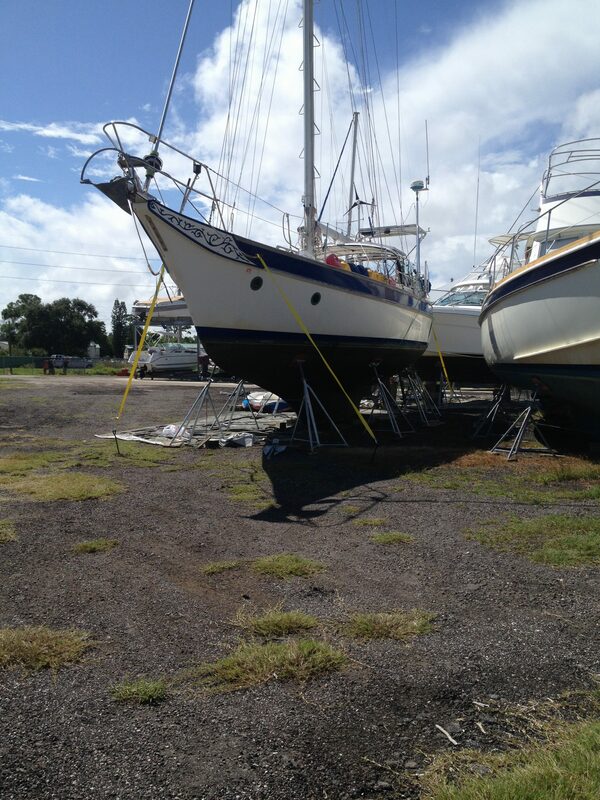 She anchored the boat out for Matthew and it broke loose. It collided with the lower section of one of the nearby bridges and then became grounded on some rocks. It’s a real shame and she is reportedly heartbroken over the loss. The sad irony is that for about $300 she could have had the boat hauled out of the water …..which is where it ended up anyway and will probably cost a LOT more than that in the long run. 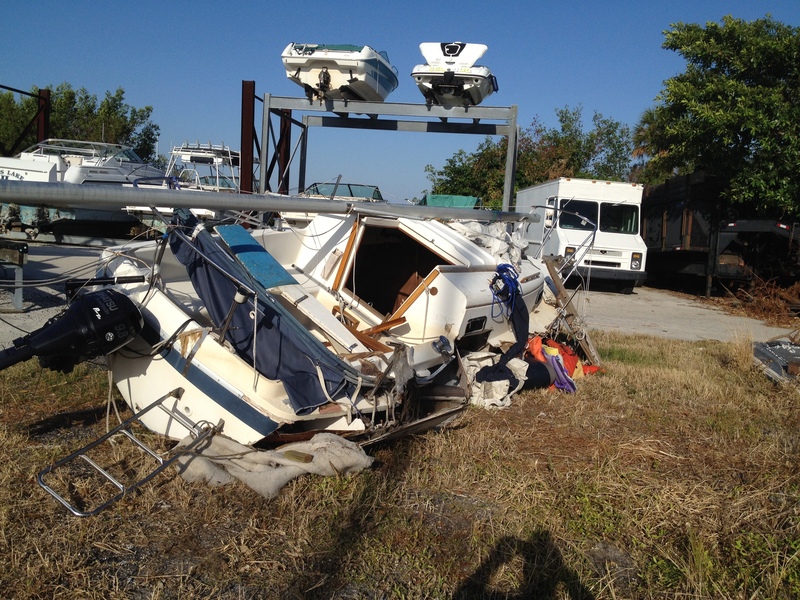 We were fortunate to have zero damage from the storm…..it was pretty stressful getting her out of the water, secured and evacuating in just 48 hours……that’s one of the big reasons there haven’t been any posts lately…..that put us a few weeks behind and we are prepping for the Bahamas….so stay tuned !!! !